Because it’s nothing I ever considered as home cooking, duck is one of my favorite things to order in a restaurant: duck breast, duck leg, duck confit – any or all of the above. When I saw this week’s recipe for French Fridays with Dorie was 20-minute honey-glazed duck breasts, I was definitely intrigued. 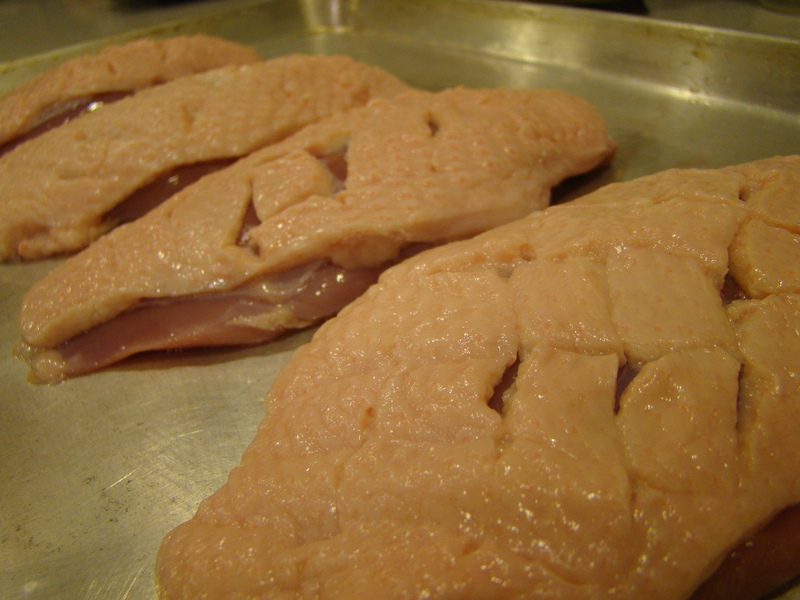 Fortuitously, my closest grocery store actually carries duck breasts. They’re from Peking ducks from Québec, naturally raised for their meat, not force fed for foie gras. 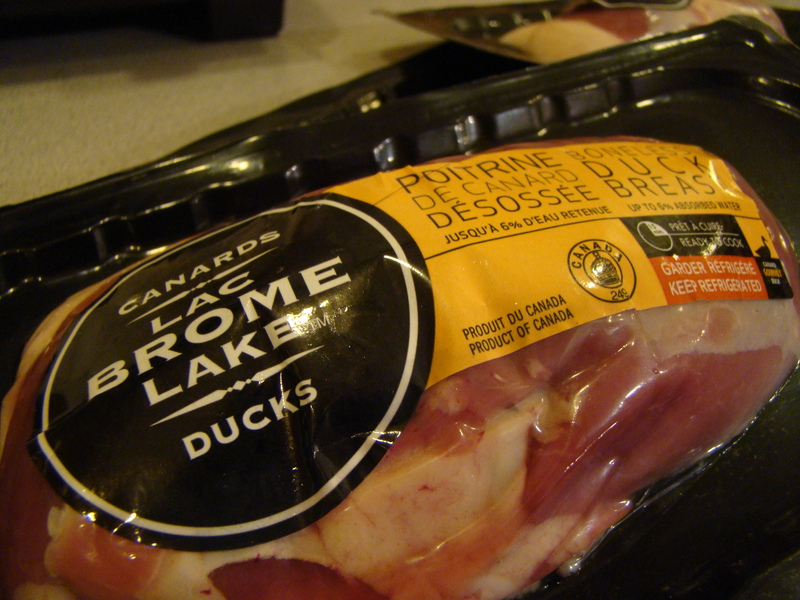 We’ve used duck legs from the same producer (Brome Lake Ducks) for duck confit, but never tried the breasts. What a revelation! Not only can I now have restaurant food at home, but it was fast enough to make for a weeknight meal. Even so, it was impressive enough for a fancy company dinner too. 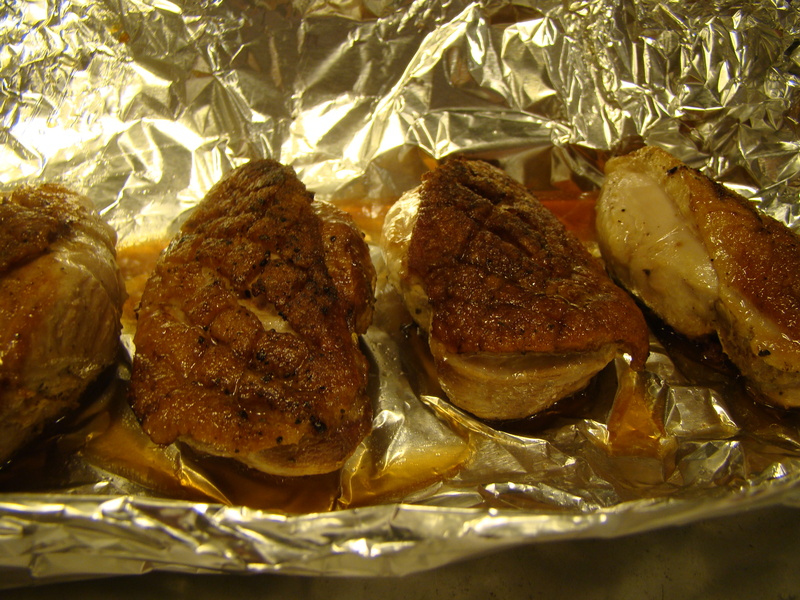 For serving, I sliced the duck (on the diagonal to make it more tender, according to Dorie) and drizzled the slices with sauce. 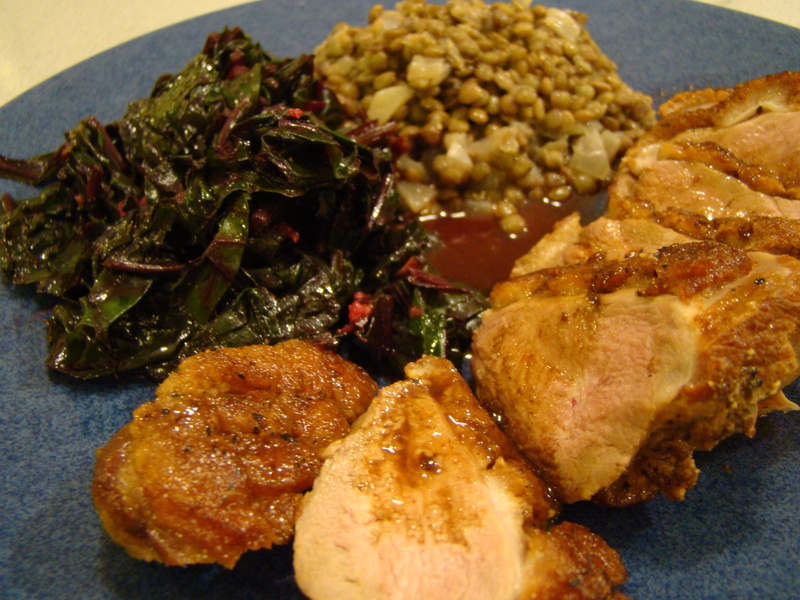 To me, lentils are the perfect side dish for duck, so while my duck cooked, I simmered a pot of lentils. I tossed the warm lentils with a mustard vinaigrette. Sauteed beet greens rounded out the plate. I thought the duck breasts were comparable to many duck dishes I’ve ordered out. How exciting to be a home chef! I don’t remember which recipe I last proclaimed my favorite FFwD recipe so far, but this one is definitely in the top three! Check out what the other Doristas thought about the honey-glazed duck here. I’m hoping they are as enthusiastic as I am. And I’m curious about what kinds of sides they chose to serve with the duck. If you want the recipe, check it out in Dorie Greenspan’s Around My French Table.